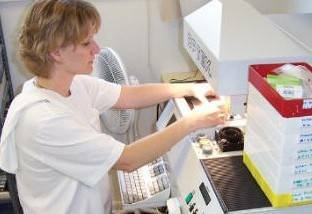 Our lab technicians use advanced lens surfacing and finishing equipment to grind your prescription into your lenses and then cut the lens blanks to precisely fit your frame. The computerized lens making process uses diamond cutting tools and automatic polishing pads to produce a perfect lens. Making glasses in our own lab allows us to provide higher quality lenses and very fast service.